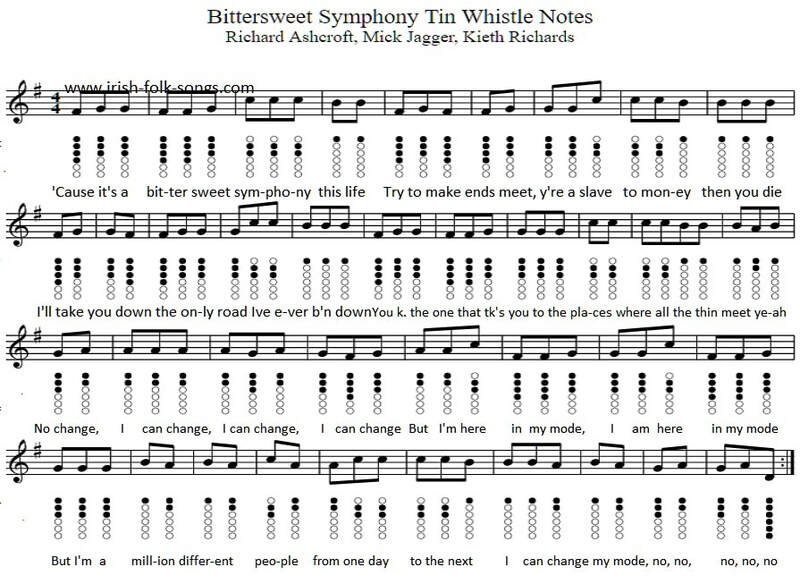 ​Bittersweet symphony Tin Whistle Sheet Music and letter notes. Recorded by The Verve and written by Richard Ashcroft, Mick Jagger and Kieth Richards. The easy letter notes reflect what's in the sheet music.